OUR LOCAL TIMBER SUPPLIER IS FSC® & PEFC certified, the marks of responsible forestry and sustainable forest management. We accept all major Credit Cards, Paypal and work with ZipMoney (buy now, pay later). At MuBu Home, we do everything with quality in mind. We believe every house should feel like home and that everyone should be able to enjoy beautifully designed and crafted furniture of high quality, at honest prices. Our store location – a bigger space to display all our furniture. Conveniently located off Nepean Highway, a short drive from the CBD. Absolutely beautiful store. Lovely people. Locally made. Looking forward to delivery of our beds and coffee table. "Saskia has provided exceptional service! Cant wait to shop with Mubu Home again"
Saskia was so nice and helped us choose the wood we wanted by offering to send out wood samples and pictures of what the different types of wood will look like. She responded quickly and tirelessly even over the long weekend. Very happy so far. Just awaiting our order. "Extremely attentive and polite service through the website's inbuilt chat (a great feature), and by email. Delivery was quick, straightforward and reasonably priced. And most importantly, we love the sofa and coffee table we bought. A wonderful company!" "MuBu were extremely helpful and always willing to answer my many questions. It can sometimes be difficult buying goods online sight unseen and the folks at MuBu Put my mind at ease. A great experience"
"MuBu offer exceptionally high standard of customer service; Saskia and Michael are a pleasure to do business with." "I had a great shopping experience with the two owners of MuBu... warm, friendly advice and helpful all the way! Their furniture looks great, unfussy and well-made. Loved the fact that shopping with MuBu felt personal and local. A total recommend!" "Excellent experience. Everyone we dealt with was super quick in replying. Delivery was very fast too." "Love my new coffee table!! Michael and Saskia were really helpful and had the coffee table delivered the next day! " "Fantastic service and super fast postage. Thank you so much ? will definitely be back!" I'm always excited to step into MuBu to see what new pieces have arrived for me ogle at. It never disappoints, nor does the shopping experience. Fast delivery and great quality product. Easy to assemble. Great customer service! Very impressed by their willingness to listen and being flexible to our needs! Much appreciated! So friendly and Amazing service! I love this store, it is packed with amazing furniture and accessories for your home, it was a truly lovely experience - i will be purchasing from them again very soon! "Great products, friendly service and can-do attitude. Thanks guys!" Awesome service and very friendly. Love the stool thank you! "I loved shopping at MuBu home. The atmosphere, staff, and furniture is lovely.I would recommend it to my friends and family. Thanks!" "Lovely friendly and fast service thank you will be recommending to friends and clients :)"
"Great information about the product and person focused service. Friendly and helpful. Beautiful, quality product." "Beautiful products and very friendly people!" "Great little business and couldn't be happier!" "Such a nice experience with the team at MuBu, Saskia and Michael were so helpful and willing to go beyond to make sure we got the product we were happy with! Absolutely love the table we choose, quality is amazing and looks beautiful in our home. Would recommend visiting their store, great service and stunning product! Will be returning in the future!" "One of the best retail experiences I've had. Would love to do business with you again. Thank you"
Could not be happier - loved chatting to the enthusiastic shop owner and love my purchases. I can't believe how easy the Knect4 bed was to put together. Who would have thought it would be so easy! Well designed! It's awesome! What a pleasure it was shopping at Mubu Home, a family operated business with a focus on quality and service. A big thankyou to Saskia and Michael who went above and beyond for me to find the perfect sofa and have it delivered. Their customer service was exceptional and the sofa itself is divine - will definitely purchase from them again in the future. Bought 6 Saxa Chairs and couldn't be happier! Quality is amazing and shipping was prompt. Thanks for the absolutely gorgeous 2seater couch and the impeccable service. So excited for our table to arrive. Saskia provides such wonderful customer service and their furniture is gorgeous. It's lovely supporting a family run business! Saskia and Michael's customer service is outstanding. Apart from their unique quality stylish product, they deserve to be considered as a definite point of call when furniture shopping for the service they provide. I am sure with a work ethic like they have, their business will flourish. As I live in Elsternwick I wanted a different shopping experience to buy new furniture for my new home. As soon as I walked into MuBu Home I new I was going to buy my furniture there. I have never bought my own couch or bedroom furniture before. It's always be given to me or my partners & I have bought it together. So this time I wanted the whole experience. Where is the wood from? Which is the best wood that would suit my new home, etc etc. Saskia is amazing. She never missed are heart beat and was spot on repeating and making sure the order and the pricing was OK. Saskia also listened to my every need and I visited the shop about 5 times before I chose my couch & bedroom furniture. I have walked out of MuBu a very happy women who knows the furniture I bought will last a lifetime. 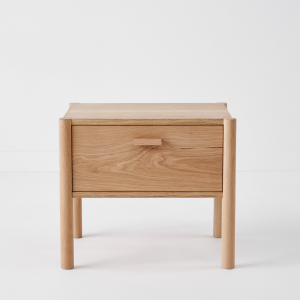 The furniture is hand built in Cheltenham by Danish design.The Tassie Oak and the American Ash Oak woods are handcrafted in Cheltenham as well. Look no further if you want to update your home at a reasonable price.